Whether you are familiar or unfamiliar with the techniques of plastic surgery, our team will help you understand your treatment options and develop an individualized plan for your unique goals. Dr. Elie Abdelhak is a nationally and internationally recognized authority on plastic surgery in Lebanon and the Middle East — performing a wide range of cosmetic, facial and breast-enhancement procedures. Part of a world-renown medical center, our leading plastic surgery center in Beirut offers state-of-the-art surgical treatments to help patients look and feel their best. Dr. Abdelhak is dedicated to providing the highest quality of surgical and post-surgical care. One of the founding principles of the clinic is to renew patients’ quality of life and improve their self-esteem through restoration, preservation and enhancement of physical form and function. The clinic is devoted to medical and surgical excellence staffed with professionals who aspire to meet the highest standards in patient care by continual education and review. The staff’s goal is for the patient’s safety, comfort, health and well being, but most importantly—helping you achieve your personal goals. 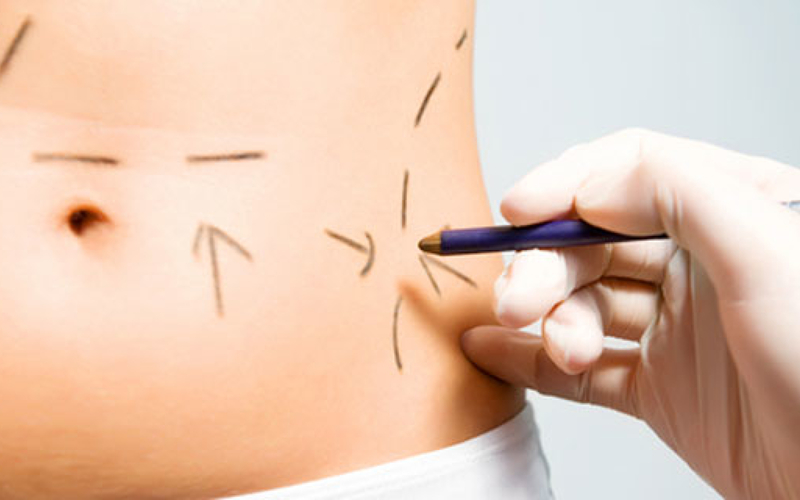 Plastic surgeons at our clinic specialize in cosmetic and restorative surgery treatments offering expertise in an extensive array of body contouring procedures such as liposuction, breast implants and tummy tuck. Aesthetic treatments also include facelift, nose surgery and Botox. 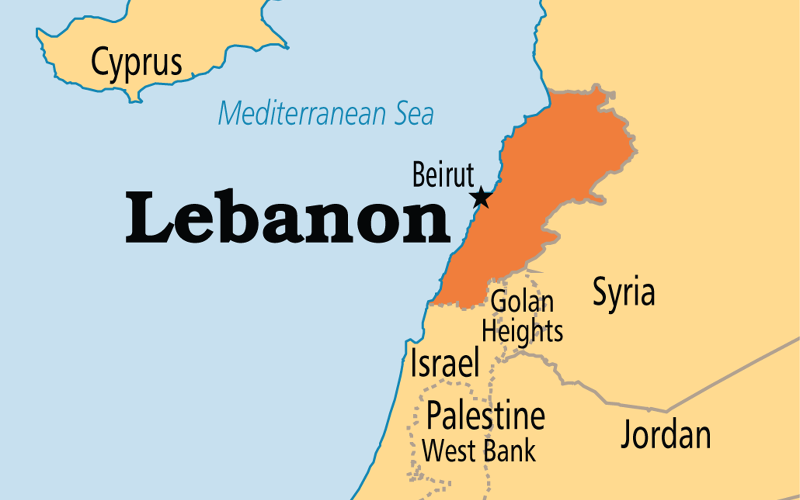 Country and Date of Birth: Beirut, 26 April 1955. Address: PO box: 166637 - Achrafieh - Beirut - LEBANON. Collège des Frères des Ecoles Chrétiennes: Sacré-Coeur College. - St-Georges University Hospital- Achrafieh- Beirut. - Abou Jaoude Hospital- Jal el Dib- Lebanon. - Lebanese Degree in Medicine from the French Faculty of Medicine- St-Joseph University- 1979. - French Degree of Doctor in Medicine: MD Degree- Paris- France- 1979.  Diplomas of the French College of Plastic, Reconstructive and Aesthetic Surgery: Paris 1984.  Diploma of the French College of Medecine of Paris in Plastic Reconstructive and Aesthetic Surgery: Paris- June1983.  University Diploma in Microsurgery: St-Antoine University- Paris 1983. - Teaching Professor at the “Lebanese University”: (1990-2001). 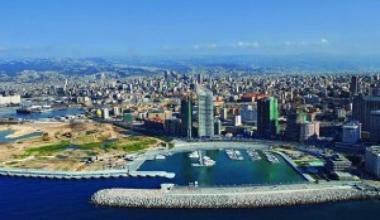 - “Clinical Assistant Professor” at “Balamand University” – Medical School Beirut. - Professor at “Lipoplasty University” – Texas - USA. - President of the Lebanese Society of Plastic Reconstructive and Aesthetic Surgery (LSPRAS). - 3rd Vice-President of the “International Society of Aesthetic Plastic Surgery”. - Member of the Editorial Board of “Aesthetic Plastic Surgery”. Official Journal of the International Society of Aesthetic Plastic Surgery. -Member of the “Lebanese Society of Plastic Reconstructive and Aesthetic Surgery”. - Member of the “Lebanese Society of Reconstructive Microsurgery”. - Corresponding Member of the “French Society of Aesthetic and Plastic Surgery”. - Secretary of the “Lebanese Society of Plastic Reconstructive and Aesthetic Surgery”. 2003-2006. - Treasurer of the “Lebanese Society of Plastic Reconstructive and Aesthetic Surgery”. 2006-2009. - “Local Organizing Chairman” for the first Post-Graduate ISAPS course. April 2001. - “Local Organizing Chairman” for the Second ISAPS Post-Graduate Course in Beirut for 10-12 Oct 2008. - Preparing the 4th ISAPS Course for Sep 2017.  Mammary prosthesis and Breast Cancer: Reality or Fiction: Journal Medical Libanais: Vol 1- 1994.  Report of 34th Congress of the French Society of Plastic and Reconstructive Surgery. Revue Médicale Libanaise - January 1990.  Report of 36th Congress of the French Society of Plastic and Reconstructive Surgery. Revue Médicale Libanaise - July/October 1992.  Report of 38th Congress of the French Society of Plastic and Reconstructive Surgery. Revue Médicale Libanaise - 1995.  Burns Sequella: Role of Ergotherapy. February 1987- Beit-Chebab Hospital- Centre des handicapés.  Major Burns and their Treatment: Round Table. St-Georges Hospital- April 23, 1992.  Breast Cancer and Silicone Prosthesis: 1st Oncologic Congress of the Middle East- St-Joseph Medical School- July 11, 1993.  Place of the computer in the Aesthetic Surgery of the nose: Symposium on “The Smile Surgery”. Dentistery School- Lebaneese University- 1993.  Body Sculpturing by Liposculpture and other Surgical Techniques: MEDICA Conferences- February 1989.  Rhinoplasty: Place of the computer. MEDICA- February 1989.  My experience in controlled depth modified Peel: about 46 cases- Obagi Skin Health Restoration and Skin Conditioning Program - American University of Beirut- April 7-8, 1995.  Cases of Breast Reconstruction post-mastectomy: 2nd Congress of Oncology of the Middle East. 19-22 April 1995. St-Joseph Medical School - Beirut.  Silicone Prosthesis and Breast Cancer: 3rd Pan Arab Meeting - Beirut- March 1996.  "Facial Lipofilling: Techniques and Results": SOFCEP (French Society of Aesthetic Platic Surgery) - April 1998 - Beirut.  Thigh and Buttock Lifting: Results with Lockwood technique: First Lebano-brasilian meeting - Beirut - August 1999.  Systemic and Standard Approach with "Obagi Blue Peel": First Lebano-brasilian meeting - Beirut - August 1999.  "Restylane" Safe and Versatile Filling material: First Lebano-brasilian meeting - Beirut - August 1999.  "Results of Thigh and Buttock Lifting with Lockwood Technique": 6th Congress of the Pan-Arab Plastic and Reconstructive Surgery - Dubai- United Arab Emirates - 2000.  Systematisation according to skin conditions with the "Obagi Blue Peel": 6th Congress of the Pan-Arab Plastic and Reconstructive Surgery - Dubai- United Arab Emirates - 2000.  Chairman for the ISAPS Post-Graduate Course.  Coordinator in the Beirut ISAPS Post-Graduate Course; Body Contouring Session - 21 April 2001.  “Large Volume Liposuction” Teaching Course (2h) at the International Congress of the International Society of Aesthetic Plastic Surgery. Istanbul – May 2002.  Teaching Course(2h) and Lecturer at The International Society of Plastic Reconstructive and Aesthetic Surgery. 13 August 2003. Sydney- Australia.  “Avoiding Complications in Large Volume Liposuction”. Paper published in a Panel - International Society of Plastic Reconstructive and Aesthetic Surgery. 13 August 2003. Sydney- Australia.  Coordinator in a Panel: “ Vertical Mammoplasty” – American College of Surgeon – Lebanon Chapter – 6 September 2003 – Beirut – Lebanon.  Chairman in a Panel: “Hamra Composite Face Lifting”- Mema meeting- American University of Beirut- September 2004.  “Breast Reconstruction” Post-Graduate Course. Medical Faculty-Lebanese University. 17 February 2004.  “ Body Lift” one hour course at MEMA annual meeting. American University of Beirut- May 2007.  ‘ Avoiding Capsular Contracture in Breast Augmentation” Congress of the 50th Aniversary of LSPRAS. April 2016.  Congress of the French College of Plastic, Reconstructive and Aesthetic Surgery: Assistance at all the annual meeting since 1980-2006.  VIII Congress of the International Society of Plastic, Reconstructive and Aesthetic Surgery (IPRAES) - Madrid - June 1992.  Symposium on The Controlled Depth Modified TCA Peel and Aesthetic Skin Conditioning for Plastic Surgeons - California - November 1993.  XIIth International Congress of the International Society of Aesthetic Plastic Surgery (ISAPS). Paris - September 1993.  XXXXIIth Post Graduate Instructional Course of the ISAPS. Paris- September 1993.  1st course of Cranio- Facial and Maxillo-Facial Surgery in the Middle East - Beirut - May 1994.  First International course on Aesthetic Surgery - Ain Shams University- Cairo -October 1994.  Obagi Skin Health Restoration and Skin Conditioning Program - American University of Beirut- April 7-8. 1995.”Speaker and Moderator”.  49th Instructional Course of the International Society of Aesthetic and Plastic Surgery ( ISAPS ): Turkey- May 1995.  64th Annual Scientific Meeting of the American Society of Plastic and Reconstructive Surgery - Montréal - October 1995.  3th Pan Arab Congress of Plastic and Reconstructive Surgery and Burns. Beirut -American University- Mars 1996.”Speaker and Moderator”.  Connell-Bell Symposium: Aesthetic Facial Surgery - Current concepts and Aesthetic Laser Surgery workshop. Monte Carlo - 18-20 September 1996.  Diabetic Foot Ulcers: Symposium- December 7, 1996. American University of Beirut.  XIV International Congress of ISAPS - Brazil- Sao Paolo- June 1997.  Instructional Course of ISAPS – From the best of ISAPS- Paris – Septembre 1997.  1998 Annual Meeting of the "French Society of Plastic Reconstructive and Aesthetic Surgery". Paris - October 1998.  ISAPS Instructional course. 25-26 June 1999 - Nappa Valley - USA.  IPRAS : 12th International Congress. 27 June- 2 July 1999. San Francisco - USA.  6th Congress of the Pan Arab Association for Burn and Plastic Surgery. April 1999 - Dubai - UAE.  2000 Annual Meeting of the "French Society of Plastic Reconstructive and Aesthetic Surgery". Versailles - October 2000.  Advances in Aesthetic Plastic Surgery: The Cutting Edge III. New York - November 13-17, 2000. (39 CME).  ISAPS International Instructional Course (Local Organizing Chairman): Beirut - 19-21 April 2001. (36 CME).  ASAPS 2001 Annual Meeting. Mastering Shape and Form in Cosmetic Surgery. New York - May 3-9, 2001.  Seminar on Breast Prosthesis "Mac Ghan": Paris - 16 June 2001.  ISAPS 2002. International Congress. Istanbul – Turkey. 31May-2June 2002.  Training for “Artificial Dermal Graft” “Integra” from Johnson and Johnson. 24-25 October 2002.  ASAPS 2003. Annual Meeting. Boston – USA. 13-20 May 2003.  XIII International Congress of IPRAS (International Society of Plastic Reconstructive and Aesthetic Surgery) 10-15 August 2003. Sydney – Australia.  ISAPS 2004. International Congress. Houston-USA. August 2004.  ASAPS 2005. Annual Meeting. New Orleans–USA. 27April-3 May 2005.  Seminar on Breast Augmentation Surgery “Mc Ghan”: Stockholm- 20-21 June 2005.  Mediterranean Council for Burns and Fire Disasters (MBC) 11-12 Nov 2005- Beirut.  Seminar on Breast Augmentation Surgery “Mc Ghan” Inamed Academy: Morocco – March 2006.  ASAPS Annual meeting – Orlando-USA. 20-26 April 2006.  ASAPS Annual meeting – New York – May 2007.  ISAPS International Congress – Melbourn –February 2008.  ASAPS Annual meeting – San Diego – May 2008.  ASAPS Annual meeting – Las Vegas- May 2009.  ASAPS Annual Meeting- Boston – May 2010.  Cuting Edge Meeting – New York – Dec 2011.  Cutting Edge Meeting – New York – Dec 2013.  Course in Body Surgery Contouring: Lyon April 2015.  ASAPS annual Meeting 2009-2016. Attendance every year.  CATBAS Belgium May 2015 (Congress in Body surgery contouring).  IMCAS Paris Jan 2016. (Botox and Fillers). 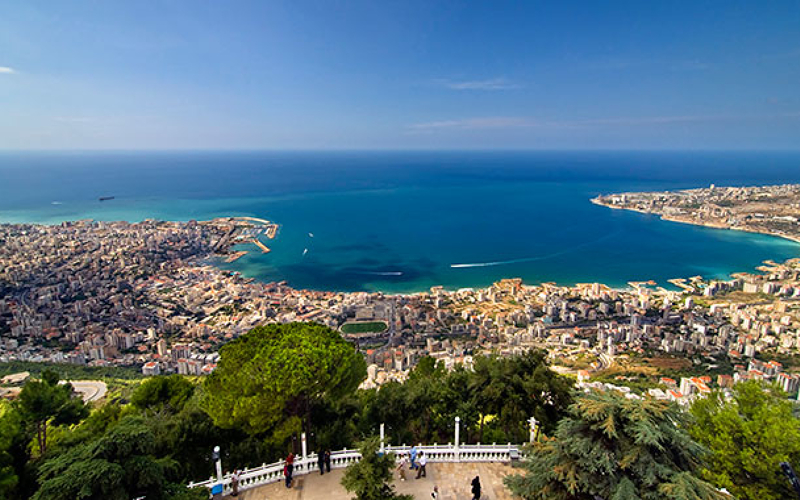 Beirut’s most iconic emblem, Pigeon Rocks is on every postcard and a must-see for any traveler. The duo of rock arches are the most famous sight in Beirut and stretches from the Corniche directly in front of the rocks. If you are traveling in summer, you will find small boats take people around the rocks and to the caves for a minimal fee. Abd el Wahab is a popular and highly-regarded restaurant in Beirut and one of the best places to savor traditional Lebanese flavors. For starters, order hot or cold mezzes such as sambousik (minced meat with pine nuts in pastry), hummous and vine leaves. The main course is meat treat; choose from wide variety of grilled meats from Kebbabs to juicy lamb chops. 35 Rooms is a colorful, contemporary 4-star hotel with plush rooms and ethereal décor with themed murals. 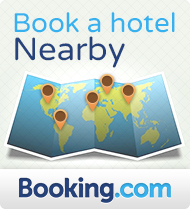 All rooms are equipped with microwave, a fridge and a large LCD cable TV. There is also a first-floor restaurant.